I would like to have one Caricature. It's going to be a birthday gift for a loved one. His birthday is on 1 Dec, so I would pick up anytime before that. 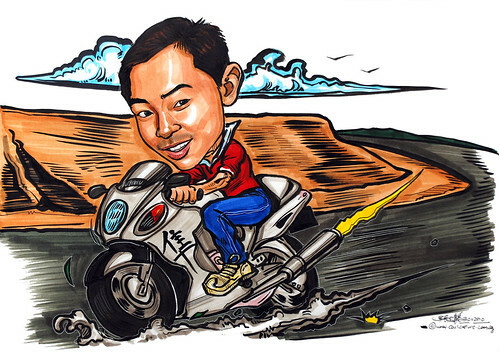 The caricature - colour marker with theme. I would like to have it in borderless acrylic frame. Riding his favourite bike - a Hayabusa. Attached a picture of the theme that I would like to have. Attached pictures of his bike. Very Nice work! I like y our style.